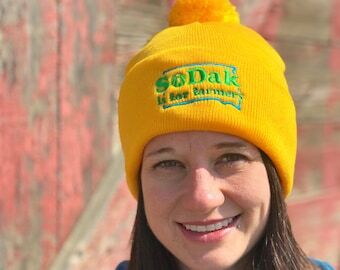 SoDak is for Farmers! 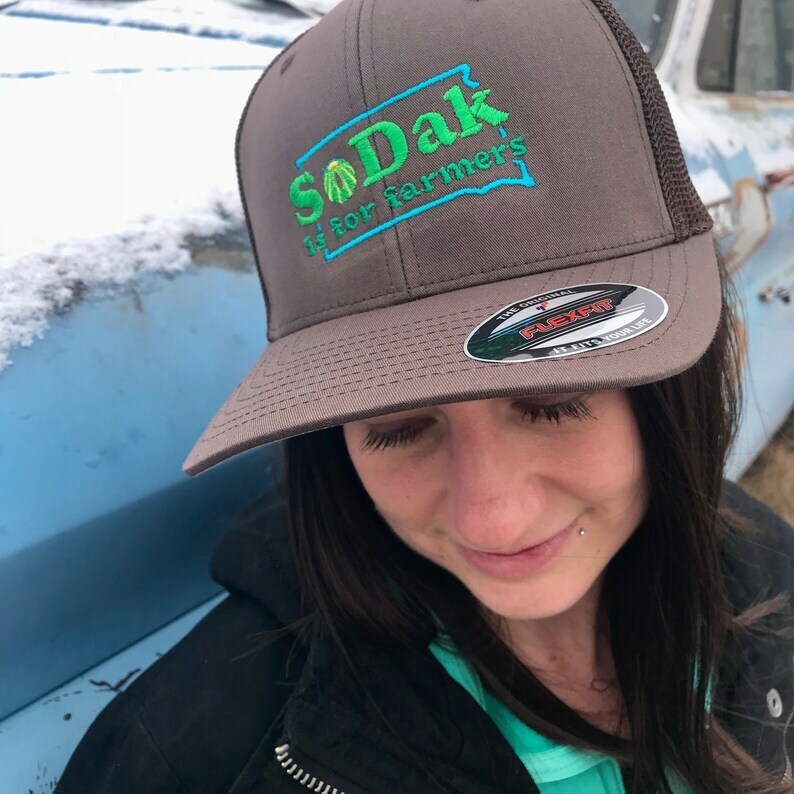 Show your love for South Dakota and farmers with this embroidered brown trucker hat by Oh Geez! Design. 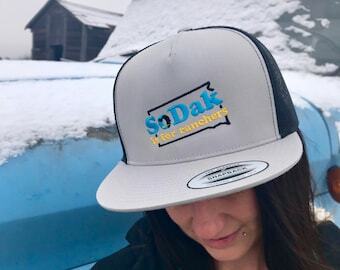 This sharp looking baseball cap features the embroidered text "SoDak is for Farmers" along with the state outline and an illustration of a field and sun in the "o" of SoDak. 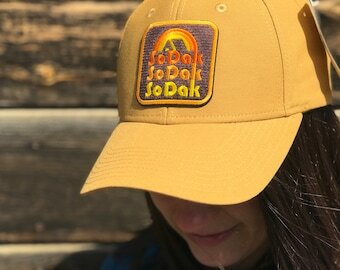 Perfect for working on the farm or for wearing out after. The hat is a high quality Flexfit fitted, regular bill brown baseball hat. The hat has breathable mesh in the back. One size fits most. Wholesale orders are welcome! Please convo me for information.